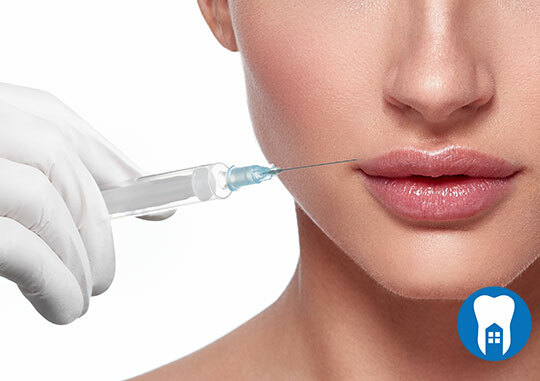 At Byways Dental Clinic we offer dermal fillers treatment for our new and existing customers, this is a non-invasive treatment used to restore youth and volume to the face. As we grow older and age, our skin begins to lose its natural elasticity and hydration. This, combined with the effects of gravity, can lead to lines, wrinkles and sagging of the skin. Fillers are an excellent treatment to restore volume and plumpness to mouth lines, lips, chin, cheeks, between the eyebrows the jawline, the area under the eyes, and even the nose. In some cases, fillers can be used to improve the appearance of scars. Dermal fillers are fast and easy. They are administered via tiny injections and the results are visible instantly. Filler injections are quick and simple, and provide instant results with a minimal amount of discomfort and downtime. How Does Treatment with Dermal Filler Work? Dermal fillers are gels that consist of a substance that mimics what is naturally found in the skin. Therefore it is non-allergenic so no allergy testing is required prior to injection. Dermal fillers increase the collage production of the skin, adding to the skin –firming effect. After a consultation with our specialists during which your goals and expectations will be thoroughly discussed, we will discuss your treatment plan. Your procedure will then begin. A numbing cream will be applied to the treatment area and you will wait about 30 minutes for it to take effect. A tiny needle will be used to inject the filler into the targeted areas. Our specialist may apply ice at the same time to minimise bruising. Between treatment areas or sides of your face, our practitioner may give you the opportunity to examine your face in the mirror. Your input can be used to guide the procedure as it progresses. There are three different strengths available and would be used depending on the depth of the area to fill. We all want to look and feel our best and dermal fillers offer a simple and painless way to knock years off your appearance. The natural gel is completely safe, and actually encourages the skin to produce more collagen to restore a youthful appearance. What Happens After your Procedure? Immediately following your treatment you can return to your normal daily activities. There is no downtime associated with this non-surgical procedure. How Long Do the Results of Dermal Filler Treatment Last? Our treatment uses non-permanent dermal fillers. This means that together, we can fine-tune or completely change your results. The results of your dermal fillers treatment can last from six months to two years, depending on the type of filler used in your case.